George and Ann Lopez have made the decision to end their 17-year marriage. The decision is amicable and by mutual agreement. They remain dedicated parents, and committed partners in business and their philanthropic organization, The Lopez Foundation. PREVIOUSLY: George and Ann Lopez are divorcing, TMZ reports. Sources tell the website the couple has been working out details of the split "for a long time." George will leave the marriage with one of his wife's kidneys. In 2005, Ann gave her husband one of her kidneys because he had a genetic condition that made his kidneys deteriorate, People reported. George and Ann were married in 1993 and have a 15-year-old daughter, Mayan. 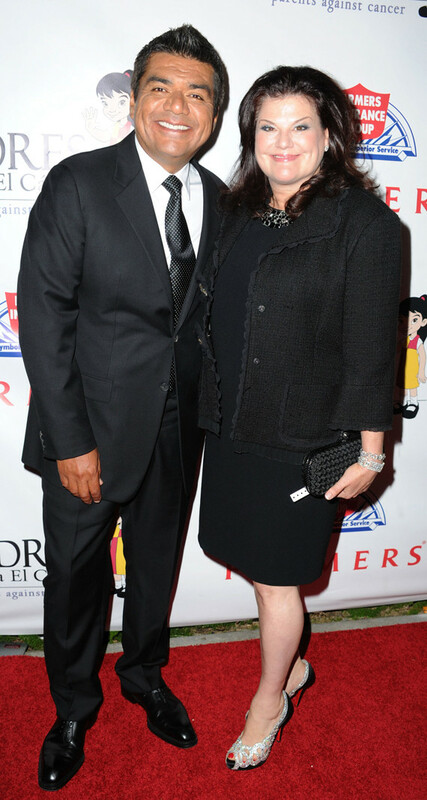 Below is a picture of them together at the Padres Contra El Cancer's 25th Annual Gala just last Thursday.